Steam boilers suffer mainly from scaling deposits and corrosion in the boiler and condensate system. If left untreated, this leads to energy and water waste, as well as equipment failure. Providing boiler makeup water with a SmartGuard RO System eliminates the need for antiscalant chemicals and lowers or eliminates the need for amines as well. 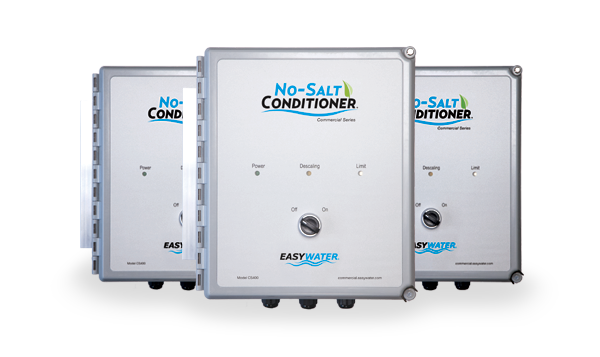 Salt softeners are typically used to provide makeup water to steam boilers. Although a softener removes most of the hardness, it does not remove alkalinity. As a result, the alkalinity becomes carbonic acid in the condensate return piping and lowers the pH, causing corrosion. Expensive amine-type chemicals are then needed to raise the pH. SmartGuard RO removes almost all the minerals in water, including the alkalinity. This dramatically reduces or even eliminates the need for expensive amine-type chemicals. Every gallon that is blown down in a steam boiler means that the makeup gallon must be heated to boiling. Surface blowdown of boilers is done based on conductivity using a conductivity controller. When the mineral content or conductivity of the water reaches the set point of the controller, it opens a bleed valve and blows boiler water down the drain. Since the mineral content of the SmartGuard RO makeup water will be a small fraction of salt-softened water, there will be considerably less blowdown and makeup, significantly reducing energy consumption. 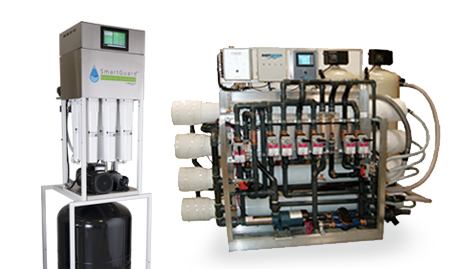 SmartGuard RO can provide the perfect makeup water for your steam boiler and does not need softener or chemical pretreatment like other RO systems. It is also operated by a microprocessor, so it is easier to control and maintain. Find out more about our treatment options for steam boilers by contacting us today at 1-888-766-7258, or by filling out our free estimate form below.